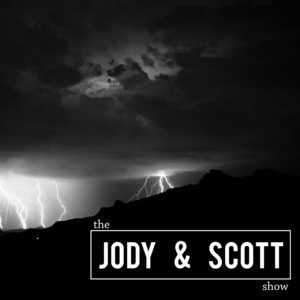 The show that was supposed to be a joyous celebration of the arrival of summer was quickly overcome by the “Black Storm.” Scott was still feeling the effects of a questionable adult-store “enhancement” pill, and the effects were felt all throughout the show. We were joined by an old friend, Carter, who attempted to let us know how to put together the perfect summer cookout. We were then joined by Adam from “Camp No Counselors” who told us all about their adults-only summer camps. You might have seen Adam on “Shark Tank.” Turns out adult summer camps and Colorado weed camps are definitely things that exist. What a time to be a alive. Capper is now trying to sell adult novelties along with fireworks at roadside stands. All that and more – get weird with us.